eProd | Management Solutions for AgribusinessesInformationNews & EventseProd and the Coffee Paradox? 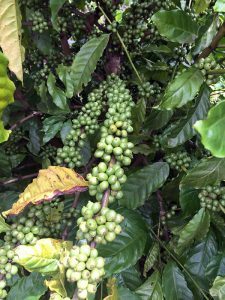 Besides premium prices for certified coffee (e.g Fair Trade, Organic, UTZ), there is another important way for farmers to increase their prices. “Coffee trade is all about predicting yields. The party that is best at this, whether it is the coffee trader, farmer cooperative or hedge fund, will make the best deals. Models have become better at yield forecasting but the information is typically too general for use at farmer cooperative level. An essential step will be to develop accurate and affordable localized crop monitoring and yield forecasting at the coffee farmer cooperative or local coffee trader level. If used in a smart way this can assist to build trust between producers and buyers”, says Lutz Bayerkoehler, former MD ECOM Tanzania. 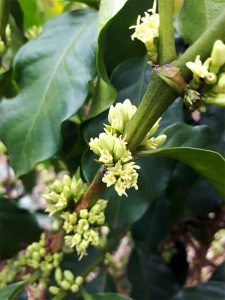 John Corbett, Chief Science Officer of aWhere, specialist in coffee crop monitoring: “The coffee plant, particularly Arabica , is vulnerable to decreased production due to many factors from too warm nighttime temperatures to variable rains and drought. Taking between 30-35 weeks from flowering to harvest-ready, the risk of stressed periods is much greater now than ever. Stressed trees are more susceptible to disease and insect damage. Stress models use numerical simulation techniques in conjunction with detailed information of soil and crop properties to evaluate the evapotranspiration deficit (Etd). The deficit, or not, and the timing (growth stage) strongly correlates to yield. To calculate Etd, aWhere leverages Potential evapotranspiration – the water demand of the environment PET is calculated by utilizing most meteorological variables and in this way aWhere understands the impact of wind, sunny skies, low humidity, and heat – exactly the conditions that impact productive coffee trees.”. aWhere has operationalized the FAO water balance approach to yield modeling and has developed some 20 pest and disease models. aWhere began monitoring coffee production on a global basis and has produced a and has a series of aWhere Coffee Reports. Obviously the high level expertise for the development and constant fine tuning of crop modeling, machine learning, big data, etc. makes aWhere’s business a costly exercise. They serve the world’s largest commodity traders, international seed companies, etc. however – even though they obviously see the business opportunities of serving smallholders with localized services – their traditional revenue model cannot deal with the relatively small transactions inherent of working with smallholders. “With eProd we now have a partner that can manage this cost-effectively: From daily SMS weather forecasts, agronomic advice (e.g. spray alerts and fertilizer advice) aggregators now have a platform to manage efficient the information flow between the individual producers and aWhere. For example, the platform can manage commercially weather forecasts services through subscription model, that can be paid through check-off systems after product deliveries have taken place. eProd can send SMS and email integration, management reports (yield forecasting coffee). Feed in additional and highly accurate information, e.g. soil type, acreage, plant population, variety, etc) to feed into the models. Via an application program interface (API) integration eProd and aWhere exchange information which results in SMS or reports prepared for the individual farmers or eProd user, e.g. farmer cooperative, commodity trader or food processor. In addition, eProd can create an enabling environment for many more services, for example: managing weather index crop insurance, access to finance by enabling MFIs to bulk screen loan applications and manage repayment, manage contract farming, certification, household surveys, etc. All integrated in one platform.”, says John Corbett. eProd works together with a number of coffee stakeholders in East Africa and is introducing currently various weather information based services. It will assist to manage both certification processes and yield forecasting. Contact us for more information.